This week we're getting deeper into email marketing and at least one of those increasingly complex ad platforms. But first I want to tell you about a very special new product which is launching for authors. This isn’t an advertisement (or one of those undisclosed, affiliate-link-powered back-scratching arrangements which seem to be increasingly fashionable). It’s a goddamn public service announcement. Struggling with your author website? Want to overhaul your online presence but don’t know which theme to pick? Sick of scrolling through endless options, unable to find something which is truly designed specifically for the needs of an author in 2019? LOOK NO FURTHER. 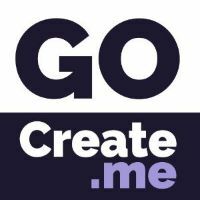 GoCreate.me just launched yesterday with WordPress themes specifically designed for authors. Oh yes. This site is the brainchild of Caro Bégin — an indie author herself in various genres, as well as a WordPress expert. In other words, she understands exactly what features self-publishers need and how they need to use websites in different ways, depending on how they run their business. The site has kicked off with two themes — one free, one premium — but I understand there are more in the pipeline. The free theme is called 2017 For Writers as it’s a child theme based off the WordPress in-house Twenty Seventeen theme. You can check it out here where all the features are explained and there is even a helpful video showing you the theme in action. There’s also a bunch of website-related free resources on the site which you should find useful. The real showstopper, however, is the Premium theme — Parallax for Writers — which is so awesome there is no way I can squeeze in all the cool features here. Suffice to say I have a custom version of it powering DavidGaughran.com at the moment and I looooooooove it. The design is fully responsive so the site will scale beautifully on any device — increasingly important in a world where the majority of web traffic is now mobile. There are so many options at the backend which deliver a lot of flexibility, not just with how the site looks, but with what I can do with it too. Adding books is a doddle, and it handles an infinite number of retailers really neatly — both for my print and digital editions. I can add series pages and promotion pages really easily. Everything is just so customizable, and so easy to use. I’ve tried out fancy themes before but found the interfaces completely impenetrable, to the point where it felt like I needed a PhD in CSS to make the simplest book page. But with Parallax for Writers, I can even customize my 404 Page with a few clicks and make lame jokes to my heart’s content. When I want to strip everything back and have a really focused page where I train attention on just one thing — this newsletter sign-up page being a classic example — then that’s simple to generate too. And to customize, if I want to freshen up the text or change the cover, or switch up the book I'm giving away. I’ll probably take a closer look at the features of the theme — and how I’m using it on my own sites — in a future email or blog post, but suffice to say that I’m delighted with it, Caro Bégin is a bona fide WordPress expert and a joy to work with, and a one-time price of $199 for this theme, considering it includes a lifetime license and basic installation, is an absolute steal. If you are looking for a new, flexible theme, one designed specifically for self-publishers, and one which doesn't spit out cookie-cutter sites, and you want to take your website to the next level, check it out at GoCreate.me. If you are interested, I'd recommend jumping on this fast — as installation of the theme requires some time at Caro's end (included in that $199 price), meaning you have to book a slot. And if this is half as popular as I think it will be, those slots will fill up fast. Book yours here. Welcome to the second part of our marketing series kicking things off this year, aptly named How To Sell Books in 2019 (Part 2). Reached deep down into the barrel for that one, I'll admit. If you missed the first part, I recommend you review that first. The danger of overwhelm for indie authors in 2019 is very real. All of the ad platforms are complex, and in ways that are mostly different from each other. Mastering one of them feels like a full-time job. Getting good at all of them feels permanently out of reach, even if you did make it a full-time job, because so much seems to change constantly at all of them. And, of course, authors have the non-trivial matter of having to turn out books regularly too. It was hardly surprising when I got such a response to an email last October called One Thing At A Time. The basic point was that it’s better to focus on getting good at one thing and then moving on to something else, then letting yourself get pulled in ten different directions at once and achieving nothing. You only truly need one functioning pathway to readers after all (and I don't know anyone who has mastered all of them). I strongly believe that you are better off mastering Amazon Ads, for example, and knowing nothing about Facebook or BookBub, then doing a little of each. Similarly, I've run giant advertising campaigns for other authors which have generated millions of page reads... without using Amazon Ads at all. I've also run big campaigns which only used BookBub or Facebook respectively. What I'm saying is, you can't get good at everything at the same time and it's not necessary either. That’s not to say I wouldn’t do things differently with the benefit of hindsight. If I was doing it all again, I would pay more attention to my website, and I most certainly would have changed up my approach to email earlier, if I had more sense. And I probably would have done that at the expense of some of the time I devoted to learning about ads, quite frankly. In fact, if you asked me what is the first thing you should focus on, I’d advise you to get good at email, rather than BookBub or Facebook or Amazon Ads. Put email top of your to-do list. You need a functioning reader-capture apparatus first, of course, as I spoke about last week. Mine consists of my website and BookFunnel, which is integrated nicely with MailChimp. You may use a different mailing list provider. But what happens after that? I mean after you deliver the reader magnet to readers — the best thing you can do to drive sign-ups — when is the next email you send? What does it contain? How regularly do you keep in touch after that? Some authors run for the hills on hearing the advice to keep in regular contact with readers. I get it — that was me a year ago. It feels like the last thing you have time for, when it’s the first thing you should prioritize (after writing). It's kind of backwards to focus so much on getting discovered by readers but put in comparatively little time into keeping them, after all that hard work. And you really don’t have to email readers weekly, like I do. That’s just what suits me and this audience, he says, speaking to everyone, about themselves, in the third person. I think once a month is perfectly fine for most purposes (I'll be doing that with my new pen name, for example). Others prefer emailing once a fortnight. It really depends on what works for you. The important thing is to keep in touch regularly to some extent, and to be sure that you provide value in each email, instead of just asking your audience for things all the time. Only contacting someone when you want something from them is not the basis for a good relationship — and telling people about a new book is an ask too, as you are asking for their money. Same goes for telling your readers about a discount on one of your books. It might feel like a give but it’s really an ask deep down. To get a better response from your readers when you want something from them, you should try to make sure that you are giving lots inbetween those asks too. String together a load of gives before you hit them with the ask and you should see a much better response. But aside from direct, tangible benefits like this, the intangible benefits are even greater, I'd argue. The internal benefits of being more connected to your audience, developing a real connection with your readers should never be underestimated. Writing is such a solitary profession that this kind of connection is incredibly valuable. It also serves as a handy reminder of why we trek down to the dreaded word-mines every day. "BUT I HAVE NOTHING TO SAY FFS." This is the reaction like 99.99% of the time. We think about emailing people every fortnight or month and start running the numbers, dreading the appearance of yet more Blank Pages in our lives which need to be conquered continually, like we are stuck in the worst roguelike ever. Again, don't use this email newsletter as your guide — I break a lot of the rules here. A few hundred words is fine. A link to something interesting with a little chatter about it is fine. Highlighting a discount in your genre by another author, along with a few lines about why you enjoyed the book, is more than enough. There's also something else you can share, which you might be good at! As an author friend told me last year: sometimes we forgot that we are storytellers. We should be telling stories with our emails to readers — that’s why they read our books! They like our stories, duh. So, email your readers regularly. Tell them a story! Encourage organic two-way communication. Develop real relationships. They’ll love it much more, and so will you too. Instead of fretting before you send your new release announcement, you’ll be excited, full of confidence that you have a community of readers which are eagerly awaiting your next book and looking forward to buying it and promoting it for you. OK, this is starting to take shape. We’ve covered the basics of everything: what makes a marketable product, where to house your Author HQ, how to generate sign-ups to your list, and why you should keep in touch with your readers regularly. Production, set-up, aftercare. Now to tackle the minor problem of getting noticed among seven million bloody books. We covered promo sites last week but running a price promotion which you push with a few ads on discount sites is old hat to most of you. And only gets you so far. These days a powerful marketing campaign needs an assist from at least one of the heavy hitters — Facebook, BookBub, and Amazon Ads — and the biggest campaigns can make use of all of them. But the platforms are all very different. Each has their quirks, and their strengths. I recommend embracing those rather than rowing against the tide. Amazon Ads, for example, can be very frustrating for all sorts of reasons. Trying to figure out its inner workings makes me feel like a character in a modern-day version of Focault’s Pendulum, grasping at arcane bits of knowledge and losing all perspective on what is real. Nevertheless, I attempted a quick-and-dirty guide a few month’s back that you might find useful called Amazon Ads — How To Be Slightly Less Terrible. The title should be a clue that I’m definitely not claiming any expertise with Amazon Ads — it’s my weakest ad platform by far. And as if to prove same, let me note an important flub in the above: my description of Exact/Phrase matches is off. The correct definitions are here. Since I wrote that, Amazon Ads has been updated, as you may have heard, with an interface vaguely approaching the 21st century, and we are now blessed with bleeding-edge innovations like being able to see ad performance over the last 7 days, and 30 days, and so on — something that Amazon Ads wasn’t originally shipped with, amazingly. While the recent updates have made it much easier to see how ads are performing at a glance, the reporting is still really sluggish, and the platform is not very responsive, making any scaling up very tricky indeed — especially when it needs to be done quickly. Which means that Amazon Ads isn’t a great platform for supporting price promotions — one of the main ways we convince new readers to try our books. The exception being those with a free or cheap intro to a series, of course, as a permanently low price point allows them to experiment over time. Which you very much need to do with Amazon Ads. So, what is the platform good for? I like using Amazon Ads to nail down Also Boughts on a new release. There is no better tool for the job, as you can target by book, with the right keyword set. The main use of Amazon Ads though is, in my humble opinion, to provide a baseline of sales inbetween price promotions/launches. Somewhat paradoxically, Amazon Ads seems to be the least price-sensitive platform, and it can move higher priced books as well as discounts. Scaling is still a challenge, but I can run ads at a reasonable level in the background which are immediately profitable, and keep ranking from falling to low between more involved promotions. Which is more than enough for my purposes as the two heavyweights — Facebook and BookBub — will do the heavy lifting instead. More on those guys next week! Well, assuming I figure out how to send this email from the Czech Republic. Otherwise, it might be delayed a couple of days while I selfishly indulge in beer swilling. Copyright Â© 2019 DavidGaughran.com, All rights reserved.